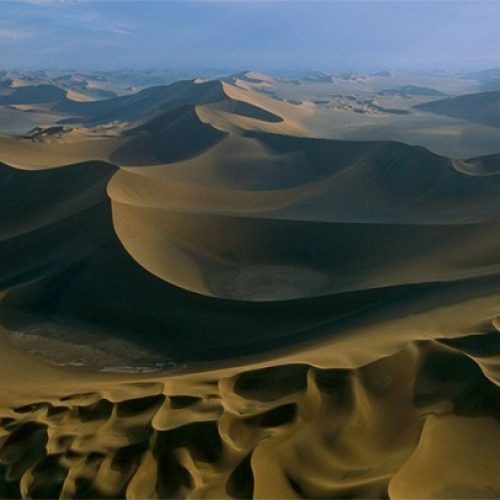 Lut desert and Dasht-e-Kavir are two main desert in Iran. 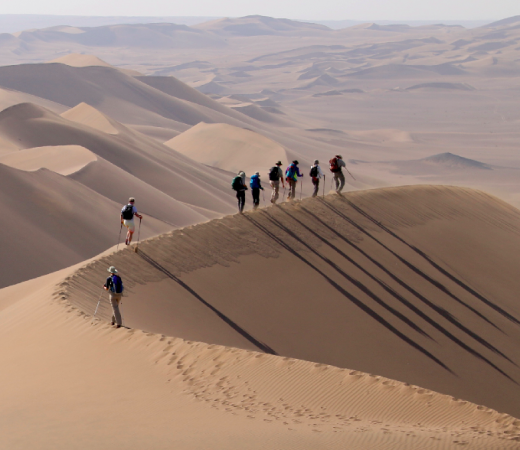 We are going to visit deserts beside all main highlight. 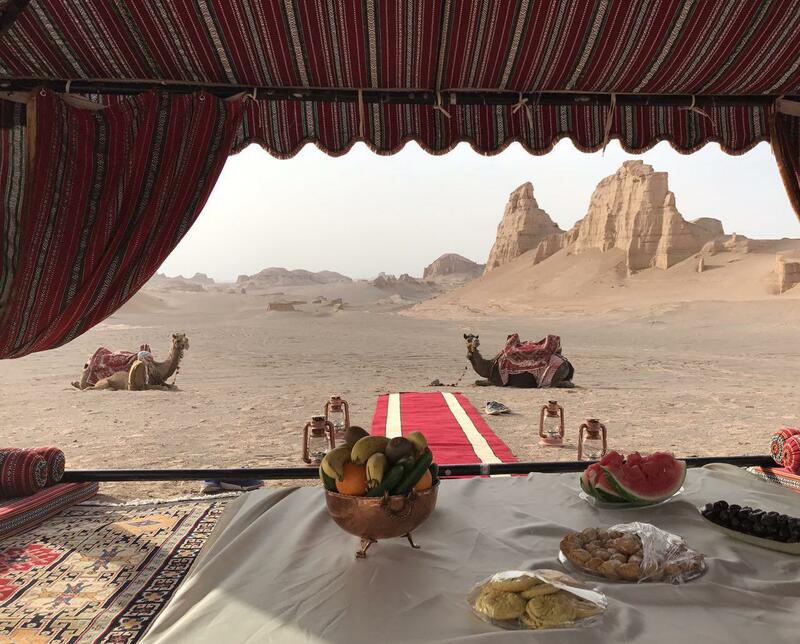 Traveling and camping in desert because of easy accessibility to food and water, easy transportation and local oasis that are settled near desert; make it one of enjoyable and particular experience during your stay. Nights are amazing. Gathering around fire and heard Persian tales from local people make it more memorable. Let’s start your journey. Arrival in Tehran city. 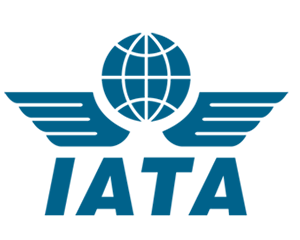 Upon your arrival, you will direct and transfer to your hotel by our representative carrying our logo and your name. Overnight Tehran. In the morning visit at 8:30 driver and guide meet you at the lobby of hotel and tour will be started. Tehran, a modern metropolis town, heritages awesome palace from Pahlavi dynasty. In the morning tour is began with Saad Abad and Niavaran Palace. Today Sad Abad palace is a complex of Museums, Gardens and Galleries which remains from Pahlavi family. Niavaran region was used s summer residence. Opulent complex of Last King of Iran lifestyle. Beside all museums and Galleries, you can pass enjoyable time in its immense garden. Next on the agenda is serving lunch in traditional restaurant with distinctive flavor food. Drive 244 km (2h 30min) toward Kashan. 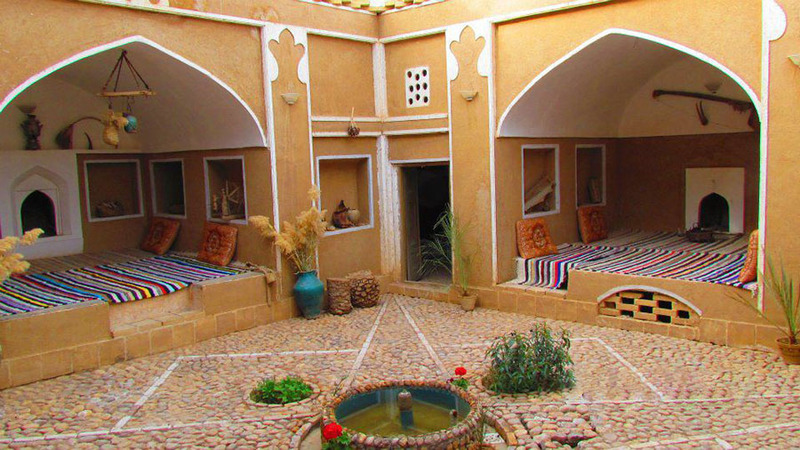 After your arrival visit Tabatabaie House and Broojerdi House. Overnight Kashan. 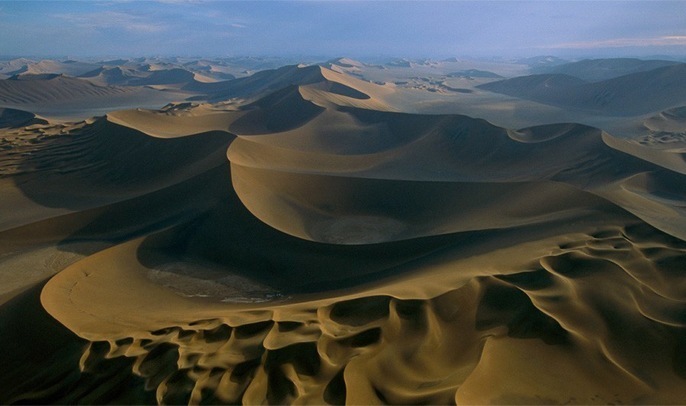 Maranjab is a sandy desert in Isfahan Province. Maranjab literally means “suffer hardships in extraction water”. Maranjab is rich in salt-friendly plants. In the evening drive 222KM (2hr 40min) toward Kuhpaye and accommodate in Koupah Caravanserai. Overnight Isfahan. Full day Isfahan excursion. 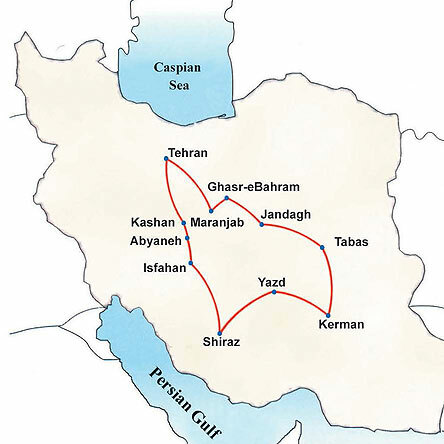 Isfahan is one of the highlighted in each journey. 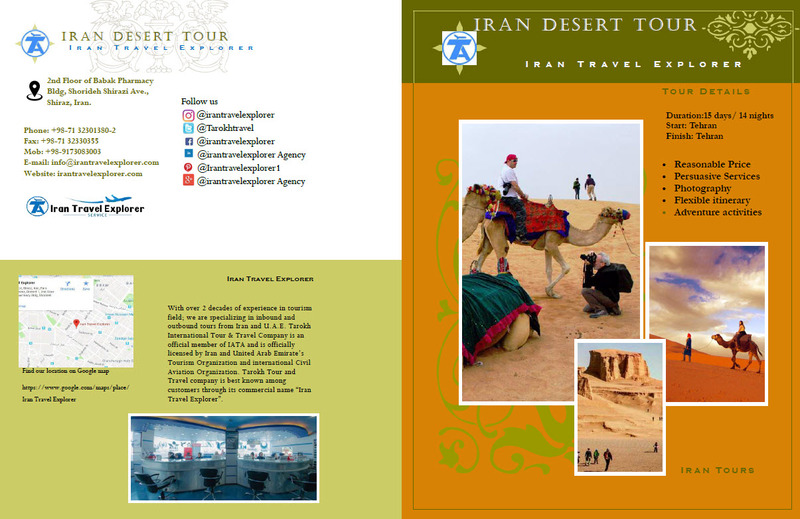 you will discover more about culture and history of Iran. Let’s start the tour with Naghsh-e-Jahan Square (literally the Design of the world) (UNESCO World Heritage) it is including Mosque, Ali Qapu Palace and Bazaar. In the afternoon visit Vank Church, Chehel Sotoon Palace and Hasht Behesht Palace. Also a particular music tour has been being operated in Music Museum. Overnight Isfahan. Drive 393KM (4hr 30min) toward Garmeh desert. Start your tour with pleasant walking through oasis. Visit Nakhlestan and Spring water with little fish. 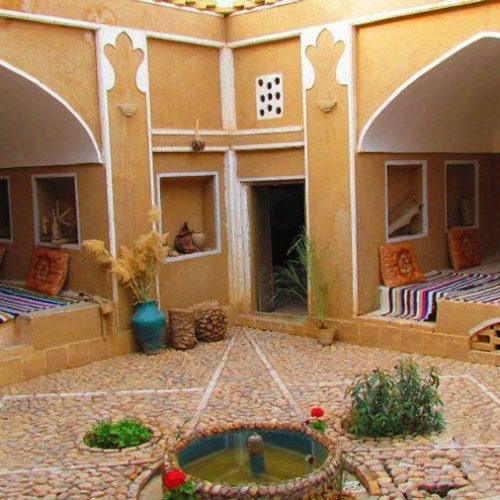 Overnight in rural real homestay in Garmeh. In Mesr desert where is 85 KM away from Garmeh. 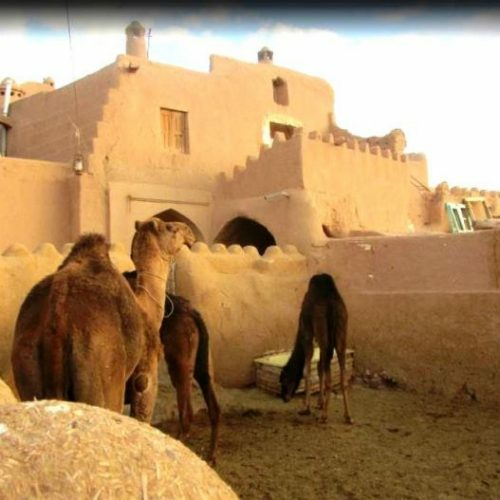 Mesr is small village between Khur and Biabanak with unique and novel experience during your stay. 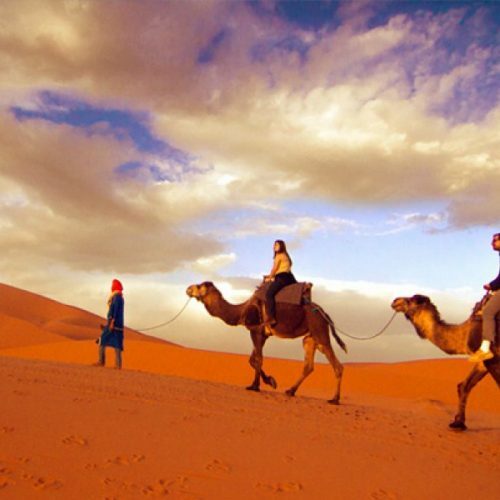 Try Camel riding and safari. Seat around fire and enjoy sunset. Overnight Garmeh. Drive 223KM (2hr 30min) toward Tabas in South Khorasan Province. 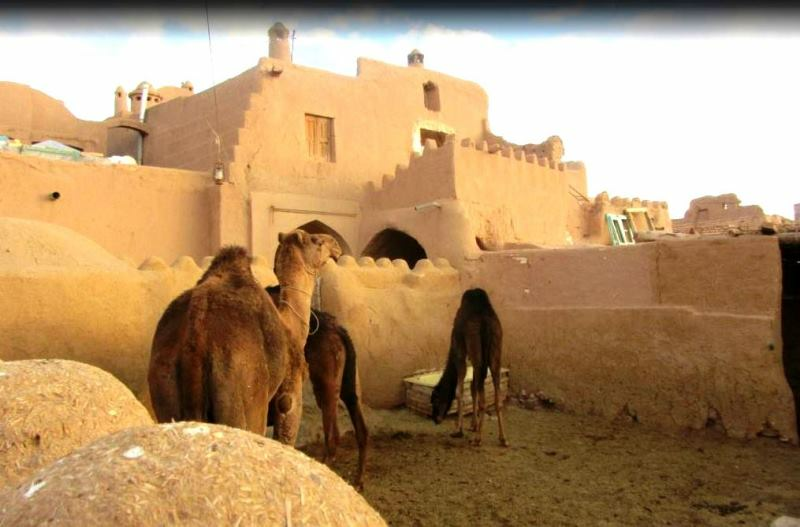 Kale Jenni, Shah Abbas hot spring and rice paddies in the middle of desert are attractions which are really worthy to be visited. You desert tour will not be completed without Kal Sardar Valley in Tabas. Drive 366KM (4hr 20min) toward Yazd. Yazd is one of the ancient city of Iran which Marco Polo had stopped there about 1272 AD. Land of Badgir, brick walls and sweet souvenir. Also known as its magnificent silk. In Yazd visit Beautiful Dowlat Abad Garden with tallest wind catcher (Badgir). It is also UNESCO world heritages. Overnight Yazd. In the morning you will visit Water Museum, Towers of Silence and Museum of Zoroastrians. Zoroastrianism is ancient pre-Islam religion. They believe in Ahura Mazda as a Wise Lord and Avesta, Holy Book, which guided people in Honesty, self-contemplation and Loyalty. Let’s have city walking tour and visit Jame Mosque, Amir Chakhmagh Complex & Mosque, Yazd Alexander's Prison (Zendan-e Eskandar). 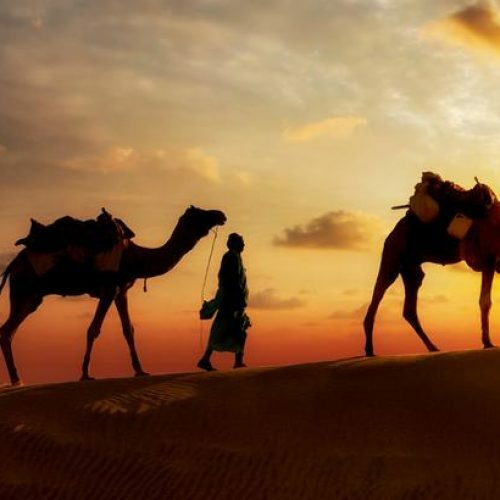 In the evening visit 40KM (30min) toward Fahraj desert and camping in desert. 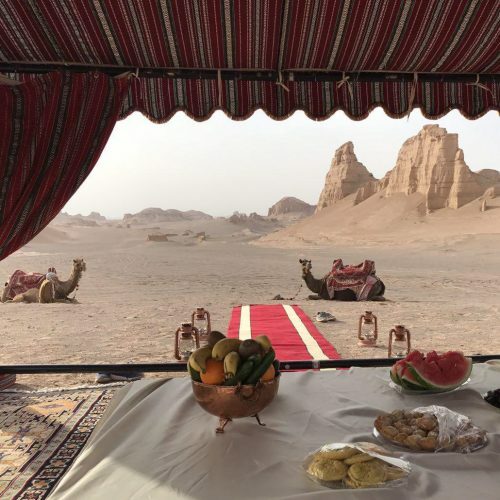 Fahraj is simple breathtaking desert and nice place to relax. 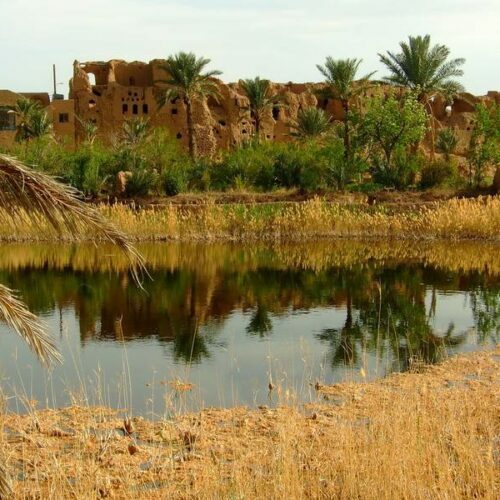 Fahraj is 5000 years old in the heart of desert. Drive 366KM (4hr 20min) toward Kerman. Overnight Kerman. Continue tour with visiting Ganjali Complex in Kerman. After that drive less than 1h toward Mahan. You can visit Shah Nematoalah Vali Shrine and Bagh-e Shazdeh (Garden). Drive 1h 30min toward Shahdad. Visit Kalouts. 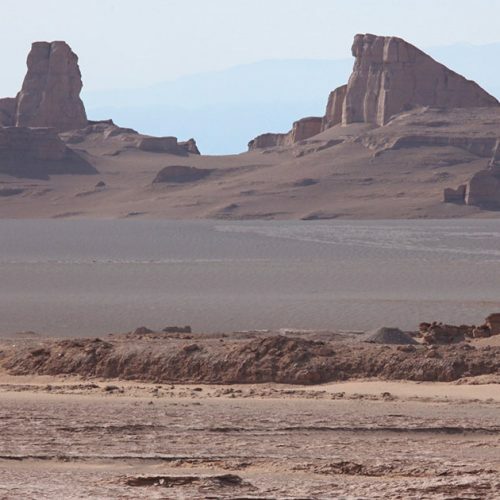 Shahdad is mysterious part of Lut desert. It is possible to observe with naked-eye. Camping in Shahdad. In the morning drive 361KM (4hr 10min) toward Meymand. En-route visit beautiful Rageh Valley in Rafsanjan. Next on agenda, visit UNESCO world heritage Meymand Rocky Village. Overnight Meymand. Drive 392KM (5hr) toward Shiraz. En-route visiting local oasis, visiting the grape orchards and water reservoirs in Bavanat village in Fars Province. Overnight Shiraz. Attention: After your arrival if time allows, visit Hafezie Tomb and Ali Ebne Hamza Shrine. Shiraz is known as poets, literature, love and wine. Early in the morning, Pink mosque (Nasir al Molk Mosque) is really worthy to visit. Sun lights display pink lights through this five concaved mosque and represent eye catching perspective. At 9:00 a.m. drive 1h from Magnificent palace, complex Persepolis Palace and Naghsh-e-Rostam (Unesco world heritage). Visit Zandyie complex which includes Bath, Mosques, Bazaar and Arg. Royal district constructions which are built during Karim Khan Zand’s Monarchy. Take night flight from Shiraz toward Tehran. Accommodate in IBIS hotel. Overnight Tehran. 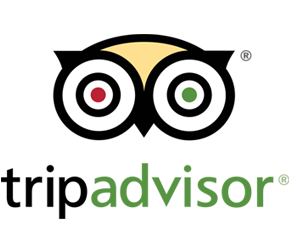 Check out hotel you, transfer to IKA to fly back home and leave Iran with wonderful memories.